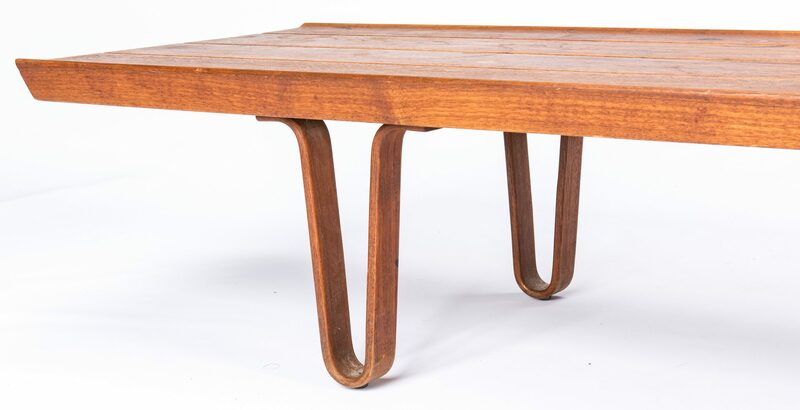 Mid-Century Modern walnut coffee table by Edward Wormley for Dunbar. Long rectangular top supported on four elongated, curvelinear legs. 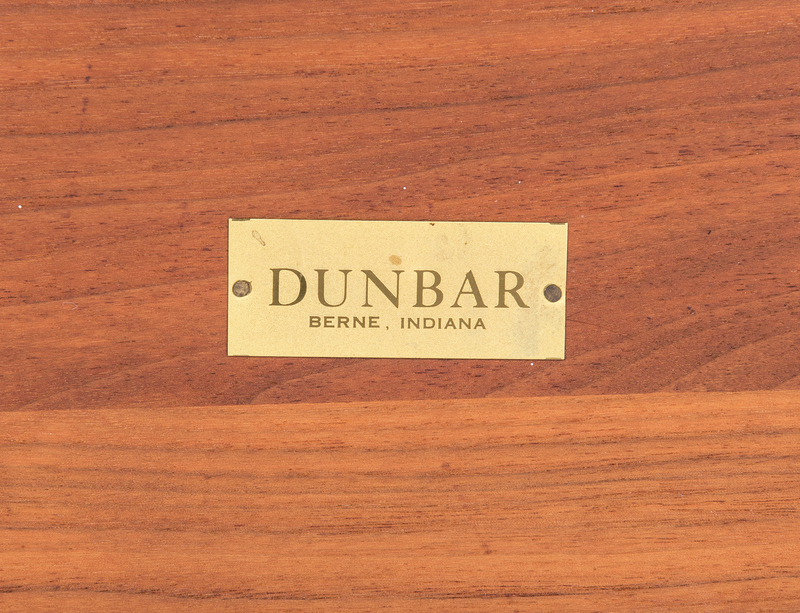 DUNBAR, Berne, Indiana brass metal tag to underside. 12" H at corners x 19" D x 84" L. American, mid 20th century. Provenance: Estate of Bernard Werthan, Jr., Nashville, TN. 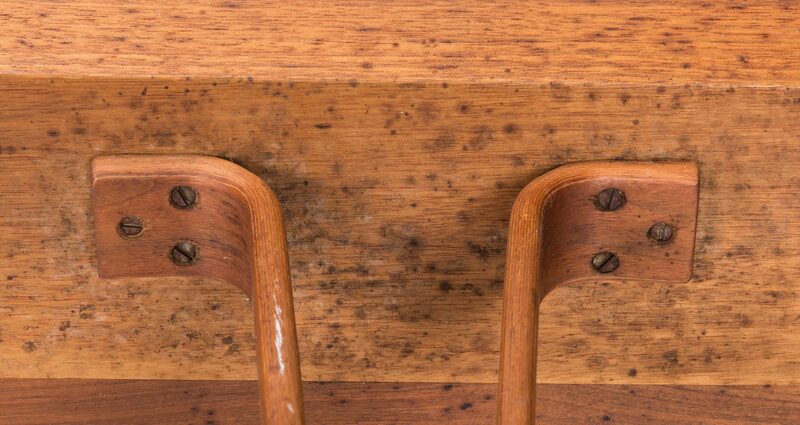 CONDITION: Various water marks to surface; some black stains to underside near one leg.